FLORA - MURALS - KINDERGARTEN MURALS - NURSERY HABAIT HAKIBUZI - WALL PAINTING - FAIRY TINKERBELL FROM PETER PAN STORY. 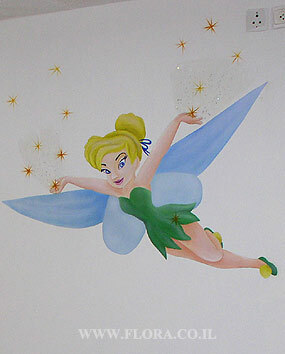 Wall painting - Fairy Tinkerbell from Peter Pan story. Location: Nursery Habait Hakibuzi in Ashkelon.